At long last the Dragon Warriors Players Guide is now officially available from DriveThruRPG in pdf and print-on-demand. New professions – the Knave, Priest, and Hunter are ready to take centre stage. New organizations – fight them or join them, it’s up to you. New spells for your favourite spellcasting professions! New weapons, new armour, new combat options. A simple skill system in line with the existing language rules. Full rules for the demonologist profession now available and updated to include demonologist-specific spells for levels 1-4! We’ve reprinted the Demonologist from In From the Cold since a lot of people have contacted us looking for the rules since that book went out of print. Next up is another short adventure “The Summoner’s Tale”, followed by another project we’ll announce when it’s a little further along. Watch this space! First up, apologies for getting all of you as excited as we all got, towards the end of last year. The book has been all laid out and ready to go to print for three months now. So, why don’t you have a copy in your hands yet? We ran into a few problems getting it uploaded to DriveThruRPG. These took a couple of months to resolve. We now do have the book uploaded and ready to print… but we’re waiting on two proof copies that have been posted out to us, one to our fantastic new layout expert Chris, and one to me, so we can give them one final check-over before we make this available to order for everyone. Sorry, again, about the delay. As you’ll all know by now, the four of us are doing this part-time at best. It’s just a question of squeezing in time to do a bit of work in between day-jobs, studying, family, etc. That does make it very hard to get things out on schedule. I think we do pretty well at just about every other aspect of professionalism… but we’re bad at getting stuff printed on time. Hopefully things will get better. We are eagerly awaiting those proof copies and will be giving them a good check-over as soon as we get them. In the meantime, here’s a teaser pic of the Contents page, just to whet your appetite. The Knight’s Tale Now Available! Our latest short adventure, The Knight’s Tale, is now available here: http://rpg.drivethrustuff.com/product/132843/The-Knights-Tale. Set in Algandy, this adventure gives a hint of what life is like in that dark land and focuses on one of the grand events of the Legend calendar. Weighing in at nearly four times the length of the Miller’s Tale, this adventure is a sandbox scenario with heaps of NPCs and a healthy dose of chaos. In other news the Player’s Guide is in it’s final stages and is on track for a late summer release. We’ve been a little quiet here at SKG for the last while so we thought we’d let you know how things are going. Firstly the fabled players guide: work is underway on the art for this. We have a cadre of – in my opinion – brilliant artists who really capture the “old school” feel of Dragon Warriors. The PG art will really harken back to those first six novel-sized books. 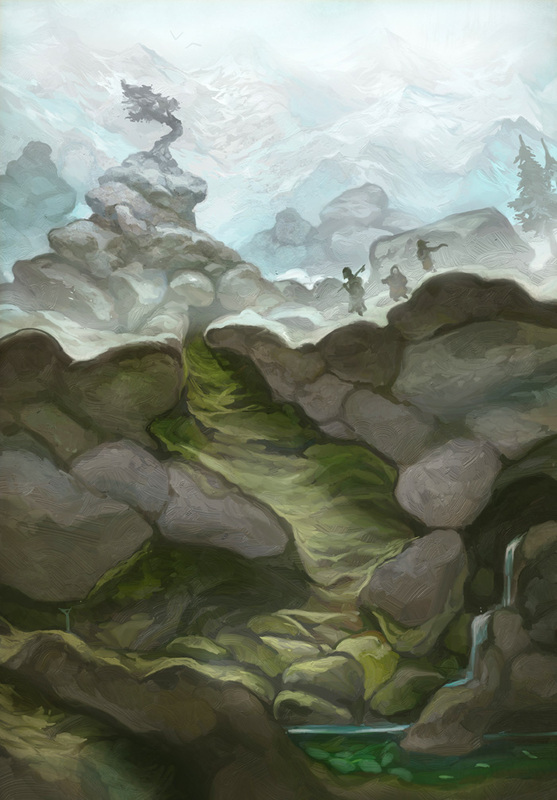 You can find a couple of art teasers below by the amazing Jay Penn and Gordon Mackay. Once the art is done we go to layout and final reviews. Fingers crossed we should have a product to show you shortly thereafter. We’ve got a new scenario for you too: The Knight’s Tale, a story of intrigue and sorcery set in the land of Algandy. In this adventure you’ll get to hob-nob (great, now I want biscuits) with the nobility at the largest tourney in the Lands of Legend while immersing yourself in the dark underworld of Algandy’s politics. 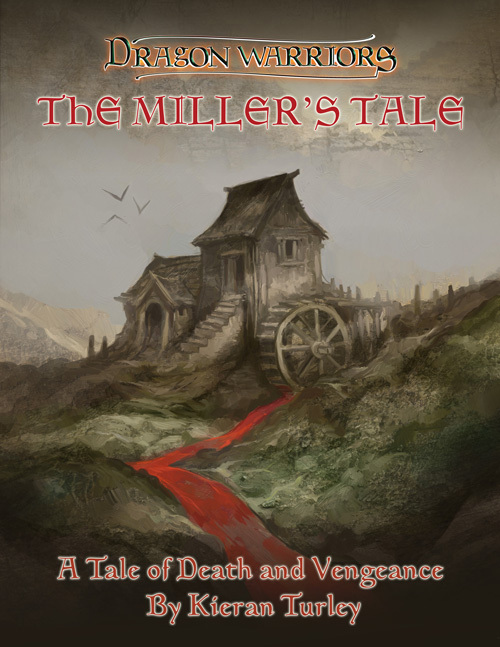 Available now at rpgnow – The Miller’s Tale. 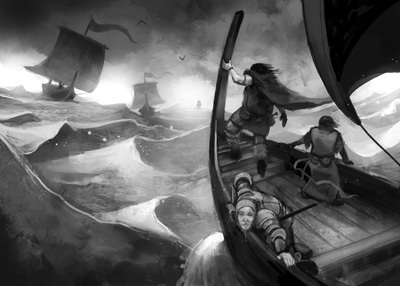 A tale of death and vengeance by Kieran Turley, illustrated by Jon Hodgson. 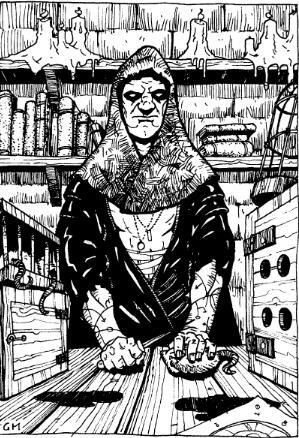 Something is rotten in the village of Jib’s Hollow and it’s not just the local weaver’s aversion to bathing. When a despairing ghost calls for justice can the heroes find his murderer before more people die? A 9 page murder mystery scenario to challenge a group of Dragon Warriors characters of 2nd to 5th rank. Meanwhile work continues on art and layout for the eagerly anticipated The Players Book. Head on over to our new products page and click the Dragon Warriors button to be taken to Drivethru rpg, where you can order Dragon Warriors in print! We’re working hard to bring you the rest of the Dragon Warriors book in hard copy, and as ever, work progresses on the Player’s Handbook. It’s a long time coming, we want to get it right, and it will be worth the wait! First up our sincere apologies for going dark for so long. All three of us running SKG are incredibly busy in other areas of our work, from studying games at the highest academic levels, to running line development on Dr Who rpg and writing a gazillion words a day, to art directing at Cubicle 7. You would be more than forgiven for thinking Dragon Warriors is currently, to be kind about it, in a deep slumber. However, whilst progress has been slow and sporadic we have never stopped working on the new Players Book and DW in general, from writing and testing new material to making translation deals and clearing up after things go badly wrong with those, and so on. We have been remiss in not posting more here, and for that we can only apologise. Often times it feels we’d be repeating ourselves if we were to say yet again “we’re working on it” with little to show. But, well, we’re working on it. 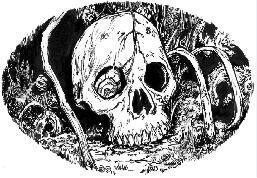 The mainstays of the DW line remain available in pdf format here, and plans for print have remained in flux for a long time, due to a couple of factors it isn’t possible to discuss here. Rest assured we’re working on the best option for Dragon Warriors. Thank you as ever for your continued patience.